We specialize in custom shotcrete pools. We provide in-home estimates to enable us to give you an accurate, professional bid. 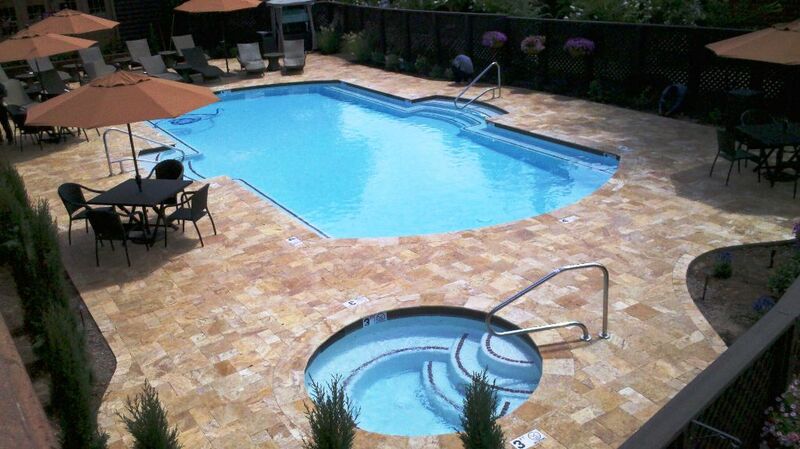 We can also remodel existing pools adding custom features or simple giving a fresh look. Water features are a part of almost every pool we build. A natural interior finish such as pebble with a combination of boulders and rockwork is available along with many other custom options. The deck surfaces that are available consist of Kool Deck, flagstone, pavers, travertine and more. Sunsplash builds more swimming pools than all other builders in Northern Arizona combined. Let us help you design a pool that is low in maintenance and will bring a lifetime of great memories to you and your family. Call for a free in home estimate today and let us help you design your backyard vacation. 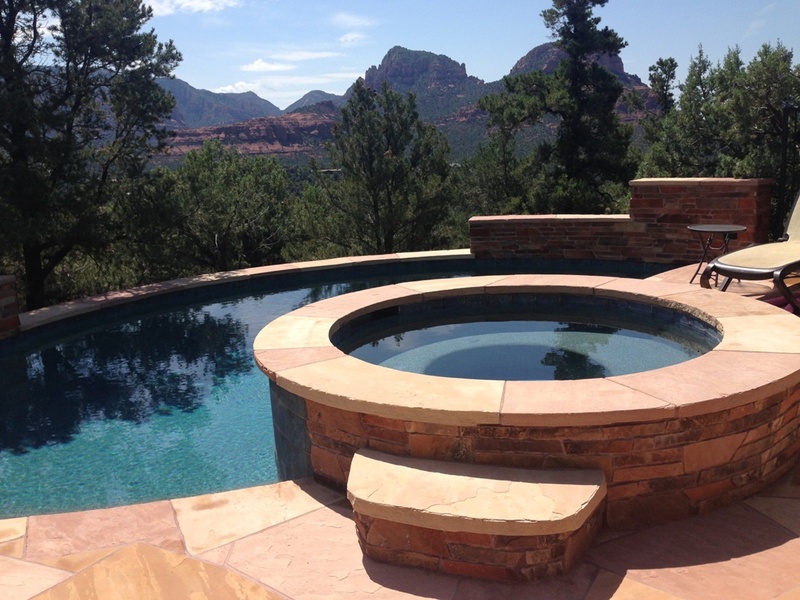 Northern Arizona 's largest pool builder with over 30 years swimming pool experience. 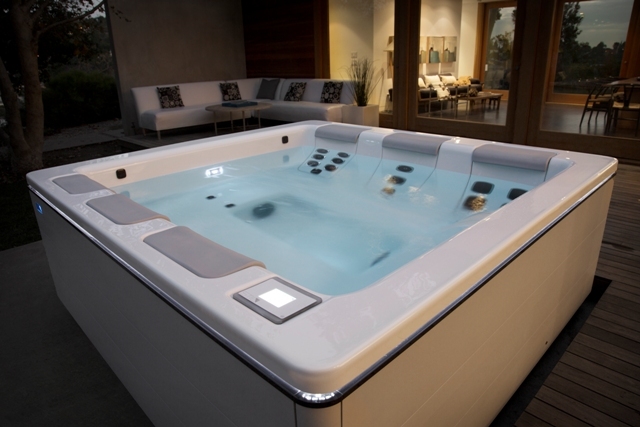 Our showroom and facilities offer a variety of spas to choose from. Immediate delivery is available on our in-stock items. We are a full service company and provide weekly maintenance, pool or spa repairs and remodels. Our prices are very competitive and our service is the absolute best. We are your Bullfrog factory authorized spa dealer for Northern Arizona including Sedona, Cottonwood, Prescott, Prescott Valley and the entire Verde Valley. We offer a complete line of chemicals and parts for your pool and spa needs. Our chemicals are professional grade and we are here to help test your water and give advise on keeping your water clean and clear. We service what we sell and much more! We are the warranty station for all the products we sell. We take pride in being the most dependable and most knowledgeable service company in the area. We also provide pool or spa cleaning service for those who would rather spend more time enjoying their pool that taking care of it. Let the professionals do the work. Call us for an estimate.